Manali, at the northern end of the Kullu Valley in Himachal Pradesh, is a hill station situated at a height of 2050 M (6398 ft) in the Himalayas. Situated on the Beas river (Vyaas in Hindi) and near its source, it is a popular tourist spot for Indians in summer and a magical, snow-covered place in winter. A staging point for a number of treks (Beas Kund, Chandrakhani Pass) and sports such as white-water rafting, Manali is also on the road to Ladakh via the valley of Lahaul and Spiti and rohtang pass which is main attraction near manali.Set in a picturesque landscape of ravines, ridges, peaks, glaciers and twisting trails, the hill town of Manali is an oversubscribed tourist destination of Himachal Pradesh. The town owes its name to a Hindu sage Manu, the Indian Noah, who saved all the species on earth after a devastating deluge. A fish that had been looked after by Manu admonished him of this impending peril. Manu accordingly carried a pair of all the species in his ark and first landed at this place, which is now known as Manali after him. Although the tourist traffic to this Eden of nature buffs, honeymooners, solitude seeker and adventure junkies has witnessed a sharp increase in the recent years, but still it has somehow managed to remain unspoiled. Adventure savants will revel in discovering the variety of adventure sports that can be enjoyed here. Whether you choose to go skiing, rafting or trekking Manali will get your pulse thumping and take your breath clean away. Minimum temp could be below -05 C from Oct till March. Dec Jan and Feb are coldest months. Rest of the year the minimum temperature would be between 15 to 20 C.
Manali is about 540 km from Delhi, the capital of India, and there are buses connecting the town with Delhi, Shimla, Dharamsala and Leh. For service from Delhi to Manali and back, tickets and reservations can be made at the Inter State Bus Terminus or the Himachal Tourism office on Safdar Hashmi Marg near Mandi House in New Delhi. You can book tickets online too. The approximate travel time from Delhi to Manali is 14 hours; from Ambala to Manali is 10 hours; and from Kulu to Manali is 1.5 to 3 hours. Volvo buses—which depart at around 06 PM and reach at 09-10 AM next day—are available from Delhi and is the best option in terms of comfort and value for money to reach Manali but you need to book these in advance. Some Hotels will book your volvo along with their hotel package. A new operator named Harison Travels has LCD displays mounted on every seat viewer can choose movie from the selection provided (Delhi to Manali Rs. 900 only), fares may change due to demand. The nearest Broad Gauge Rail Head is Ambala Cantt(200 km) or Chandigarh (250 km)from Indian Capital New Delhi. Ambala Cantt is on the Delhi - Amritsar and Delhi - Jammu main lines and is well served by rail, but you will need to travel to Ambala to get a bus for the 10 hour ride to Manali. Jogindernagar and Kalka are other, less preferable, rail heads for Manali. The nearest Broad gauge station is Kiratpur Sahib in punjab near the city of Nangal. It lies in Ropar district of Punjab. The station lies on the Ambala Cantt - Una route of Indian. Railways. From here you can easily get buses for Manali. At an altitude of 3979 m (13,050 ft) above sea level, is another adventure tourist site where it can be cold even on a summer day. It is the highest point on the Manali-Keylong road and provides a wide panoramic view of mountains rising far above clouds, which is truly breath taking. Close by is a small lake called Dassaur Lake? The source of river Beas is also nearby. In winter, the road of Rothang Pass is closed. Important to note that the road to Rohtang Pass is closed off at Manali bridge,on all tuesdays between 0900-1800 hrs for carrying out road widening work & repairs. If you are able to leave early, before 0900, you can avoid the traffic rush (found on all other days) and have Rohtang Pass to yourself (well almost!!). Flip side is to be prepared for stoppages (extending upto a few hours) on the return trip as the road is blocked off where repair works are progressed. If you are driving up, be prepared for the rough broken roads at many places, sheer blind turns and tight hairpin bends, which can be exhilarating depending on the state of your nerves. If you are hiring a vehicle then better rent a four wheel drive vehicle from Manali. Sometimes the local people along with police does not allow the non-four wheel drive vehicles from going beyond Snow-Point(a place 16 kms before Rohtang Pass) and force to hire their owned 4WD vehicles at exorbitant prices which can be up to 1500-2000 INR per person. This happens in the winter times when there is heavy snow fall. The tours organized by HPTDC do not go up to Rohtang pass and terminate at Snow-Point. Shared taxis are also available. 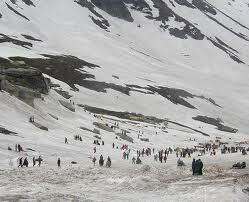 Rohtang Pass can also be accessed on foot, if there are stoppages beyond Snow-Point. However, it is a strenuous climb and also needs a good guide to show the short cut routes to the Pass.Beas Kund, an igloo shaped temple, on top has a spring which is the origin of River Beas. It is an ancient cave temple dedicated to Hidimbi Devi, who was a character in the Indian epic, Mahābhārata. The temple is surrounded by a beautiful cedar forest (Dhungri Van Vihar) at the foot of the Himālayas.The sanctuary is built over a huge rock jutting out of the ground, which was worshiped as an image of the deity.The structure was built in the year 1553. This temple is represented as KULDEVI of the kings of Kullu in early times and is worshipped as a manifestation of Durga, and image of the goddess is also enshrined here. The divinity is popularly worshipped throughout the region during the festivals and the Goddess is transported to Kullu to visit the Lord Raghunathji during Dussehra festival. This temple is on the top of above the Shaminallah village, which is around 5 Kms from Manali, accross the Beas river on the left bank on the way to Naggar Casttle Kalath Hot Water SpringsAround 6.5 Km downstream from Manali,natural sulfurous water flows from the bowels of earth. Public bath areas and private bath areas are available. "Asia Sulphur hot water spring" is a small hotel. Where private bathroom can be hired on per-person basis (appx. Rs. 100/person).these is simple bathrooms but give all the privacy needed by a couple or family.It can be easily spotted on your way to Manali just before the "Green Tax barrier". Around 3 km from Manali, across the Beas River is Vashist, a small village with natural sulphur springs. Modern bathhouses, with Turkish-style showers, have the hot water piped into them for the convenience of the visitors who come here to benefit from the medicinal properties. Vaishisht, also boasts a pair of old stone temples, opposite each other above the main square. Dedicated to the local patron saint Vashista, the smaller of the two opens on to a partially covered courtyard, and is adorned with elaborate woodcarvings. Those lining the interior of the shrine, blackened by years of oil-lamp and incense smoke, are particularly fine. The temple tanks are underground hot-water/sulfur springs. Be wary of hanging up your trousers or bags on the hooks provided, pickpocketing is a daily occurrence. Hand over your wallet to a trusted person for safekeeping before you enter the springs for a bath. Separate tanks for men and women are provided in the temple.keep in mind these are open baths and little or no privacy is available for women except separated areas for bathing. About 2 km Trek from Vashisth Temple. Going to the top of the falls would need a guide and quite a bit of trekking, but if you wish you could just keep asking for directions from Vashishth temple and reach the first level of the falls.Solang Valley popularly known as Snow Point, is 13 km northwest of Manali and famous for its 300-meter ski lift. The Ski Lift ticket is Rs. 500 per head for a trip both ways. It is a picturesque spot and offers splendid views of glaciers and the snow-capped mountains. 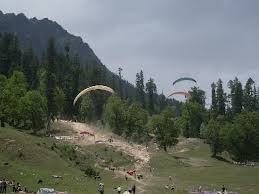 Solang valley also offers attractions like paragliding, snorkeling etc. Jagatsukh, the former capital of Manali, is also an important spot. The former capital of Manali, has a few nice temples done in Shikhara style. You can visit them while travelling to Naggar. On the way to Rohtang amazing water fall worth seeing. This water fall looks amazing between the high hills. At a distance of 3 km northwest of Manali is Old Manali, famous for its orchards and old guesthouses. Beas River is a very peaceful experience. There is ruined fort here by the name of Manaligarh. There is also the Manu Maharishi Temple, dedicated to sage Manu. Gauri Shankar Temple at DASHAL village(700 mtrs. from Sarsai )on the main left bank Kullu Manali Highway.It is a 12th century protected monument.Also see lush green apple orchards,play with water stream out thereThere are some interesting temples of Tibetan Buddhist lineages located between old and new Manali. The Castle, Roerich House and Art gallery are places to see. Moonlight dinner on the balcony of Hotel Castle restaurant is worth experiencing, with the lovely sight of twinkling lights below in the Beas valley. Bijli Mahadev temple, about 20 kms from Naggar, is also worth visiting. Ask for directions to this temple from Naggar Castle and do a small trek of half an hour through dense pine and deodar forest to reach the beautiful Krishna Temple. With hardly any tourists around, this place is magical. 15 Kms from Naggar and 35 Kms from Manali, at Zana Village, beautiful Water Fall is worth visiting. The valley provides amazing views. There is one water fall on the road side and two other water fall which are not much explored by tourists and are amazing. Moreover Traditional Himachali food is available here at small hut like shops. In fact both these places especially log hut area have some good hotels to stay. Manali Gompa was built in 1960. It is one of the most important places for Buddhists. Buddhists come to this place from Ladakh, Tibet, Spiti, Lahul and Kinnaur. Manali Gompa is world famous for a large statue of Buddha and for its wall paintings. Nehru Kund is located at the distance of around 6 km from Manali. It is one of the natural springs of natural water in India. Nehru Kund is named after the late Prime Minister Jawar Lal Nehru. Nehru used to drink water from this Kund, while his journey to Manali. 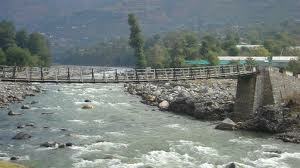 Nehru Kund is on the Manali-Keylong road, about 6 kms from Manali. It is understood that a landslide has wiped out this spring.